There are many forms of dance in odisha. Ghumura Dance is one of the most leading folk dance forms Kalahandi district of Odisha. It is classified as folk dance as the dress code of Ghumura resembles more like a tribal dance. ghumura is the indigenous dance of Kalahandi and its origin can be traced to the Indrāvati Penins ula. The tribals of Kalahandi mainly perform this dance during religious and traditional festivals like Nuakhai or Dasahara. 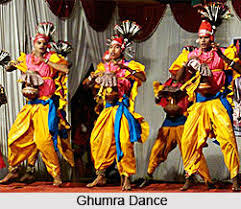 Nissan, Jhaanja, Mahuri, Mardal are some of the musical instruments accompanied with the Ghumura dance. This is a male dance, performed by 15 to 40 persons. The Gond, Kond, and Bhatras tribes traditionally perform this dance. Though it is considered as the folk dance, characteristics of classical form prevail in every aspect of the Ghumura dance—such as in the singer, dancer and in the beats of Nissan player. Ghumura plays an important role at the time of different cultural and religious festivals in Kalahandi and Koshal region. Ghumura is a particular variety of drum, which is approximately the size of a pitcher and generates a deep musical sound. Chhau is a traditional dance drama form prevalent in Eastern India. There are three major forms of Chhau each known by its respective geographical location. These are Seraikella Chhau of Jharkhand Mayurbanj Chhau of Orissa and Purlieu Chhau of West Bengal. Although they are all known as Chhau, their style differs considerably in terms of their culture background and their dance characteristics. The complexity and fascination of this tradition lies in the fact that it represents the folk classical continuum. The fame of Mayurbhanj Chhau has crossed geographical limitations and has claimed world wide fans for its beauty, vigour and marvel of the art. Though Chhau is famous not only in India but World over the origin of word Chhau is yet in mystery. Chhau is believed to have found its origin from “Chhaya” the shadow. But the Chhau performers of Purulia use Mask while dancing and that mask is told as “Chhau”. Perhaps Chhau Dance might have derived its name from that mask,the Chhau. Some chhau pundits opine the Chhau has got its name from “Chhaushree”. Inarguably, the word chhau has been derived from the word ‘CHHAUNI’ the camp camped at the time of military operation. The folks say that chhau was performed to entertain the Oriya warriors inside the camp and has spread now knowing no boundaries. 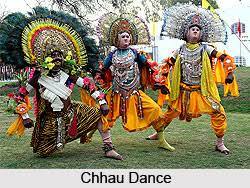 In 2010 the Chhau dance was inscribed in the UNESCO’s Representative List of the Intangible Cultural Heritage of Humanity.The Government of Odisha established a Government Chhau Dance Centre in 1960 in Seraikella and the Mayurbhanj Chhau Nritya Pratisthan at Baripada in 1962. These institutions engage in training involving local gurus, artists, patrons and representatives of Chhau institutions and sponsor performances. The Chaitra Parva festival, significant to the Chhau Dance, is also sponsored by the state government. The Sangeet Natak Akademi has established a National Centre for Chhau Dance at Baripada, Odisha. In Oriya language, Goti means single and Pua means boy.Gotipua dance has been performed in Orissa by young boys who dress up as female to praise Lord Jagannath and Lord Krishna. The young puas are dressed like devadasis of the medieval times. They let their hair grow, in order to knot it for the dance performance. Flowers adorn the bun of hair that the boys beautifully make up. Their faces are painted with white and red powder to lighten their complexion. Kajal is used generously to accentuate the eyes of the performers. A round Bindi is placed on the forehead and is decorated with sandalwood around it. They wear a ‘Kanchula’, which serves as a blouse on the upper body. An embroidered silk cloth called ‘Nibibandha’ is tied around the waist of the boys. Each of the dance schools have their unique identity of the costume and make over of the boys into girls. The dance troupe usually comprises of four to five boys. The Goti Pua performance begins with a vandana to the Gods, Gurus and the Mother Earth. The artists start with a 3 step salutation to the above. It is followed by Sa Re Ga Ma, which is a celebration of beauty and the intricate technique involved in the Goti Pua dance. Then the artists display Abhinaya, an enactment on the love story of Lord Krishna, with his consort Radha. 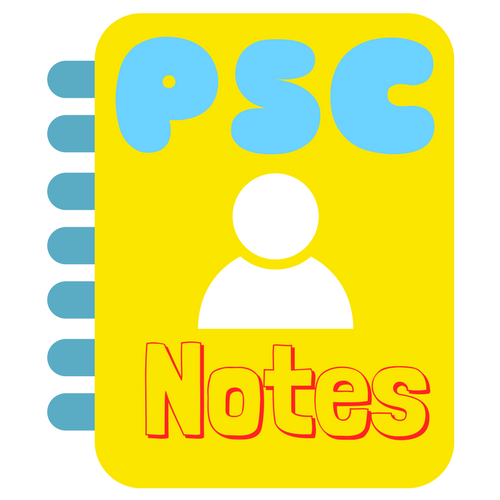 It is an interlude of the actual nritya. The grand finale stores ‘Bandha Nrutya’ which involves special acrobatic and flexible postures by the dancers. The Bandha or the acrobatics that the artists present require rigorous practice and special skills possessed by the boys. Term nacnī refers to female performers who sing and dance professionally in rural areas, accompanied by male ḍhulkī and nagarā drummers who move around the stage with her. Women who perform as nacnīs are considered “kept women” and are usually paired in an informal “marriage” with a male manager and dancing partner, typically of a higher caste. In this pairing, nacnīs are thought to embody the goddess Radha while the male dancing partner is a stand-in for Krishna. The performers are considered out-caste and in many ways transgress usual Indian caste and gender distinctions both on and off stage, taking on a certain power role among their “fans” and often engaging in “typically male” behavior, such as drinking and smoking.This style of performance is rapidly disappearing. The Baagh Naach originates from the state of Orissa. It is a popular folk dance of the state. It is mainly performed in the parts of Binka and Sonepur villages of Subarnapur district of the state. This dance is displayed in the Hindu month of Chaitra, on religious festivals or special occasions in the village or the tribe. In this dance, the artists impersonating a tiger, paints himself in yellow and black stripes, resembling that of the animal. Hence,the name Baagh Naach, meaning Tiger Dance has been attributed to the dance form. It is also commonly known as the Sambalpuri folk dance of Orissa. Dalkhai dance originates from the Sambalpur district of the East Indian state of Orissa. It is the most popular dance form of the Western part of Orissa. The men shout the word ‘Dalkhai Bo!’ at the beginning and end of each stanza sung in the dance. This is the reason why the dance is known as the Dalkhai dance. The men dancing along with the girls address them during the performance and flirt with them. The themes on which the dance is performed are the eternal love story of Radha and Lord Krishna, episodes from the Hindu epics, Ramayana and Mahabharata and description of nature. This Sambalpuri folk dance is mostly performed by the Kandha tribe of Kosal region. Both men and women participate in the dance. Men of one village dance with women of another village. Usually unmarried boys and girls take part. The dance is performed during marriage ceremony and more often for the sake of recreation. The dance is named so because of the accompanying instrument called ‘Dhap.’ The dhap is in the shape of a Khanjari made up of wood with one side open and the other side covered with a piece of animal skin. The dhap dancer holds the dhap with his left hand, the sling slung over his left shoulder, and beats with his right as well as left hand. Karam or Karma literally means ‘fate’ in Kosli Odia. This pastoral Sambalpuri folk dance is performed during the worship of the god or goddess of fate (Karam Devta or Karamsani Devi), whom the people consider the cause of good and bad fortune. It begins from Bhadra Shukla Ekadasi (eleventh day of the brightmoon of the month of Bhadra) and lasts for several days. 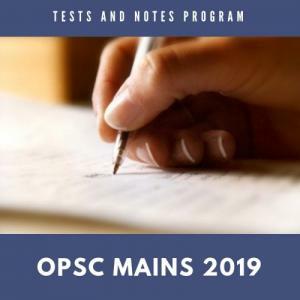 This is popular among the scheduled class tribes (e.g., the Binjhal, Kharia, Kisan and Kol tribes) in the districts of Balangir, Kalahandi, Sundargarh, Sambalpur and Mayurbhanj. This dance is in honour of Karamsani, the deity who bestows children and good crops. After the puja is done it is followed by singing and dancing in accompaniment of drum (maandal), cymbal etc. The dance performance full of vigour and energy combined with charm of the youth decked with colourful costumes in exuberance of red cloth, set in peacock feathers, skillfully designed ornaments made of small conch shells, brings the onlookers as well as the performers to a mood of trance and ecstasy. In this dance both men and women take part and continue to engross themselves for the whole night. The skillful movement of the young boys with mirror in hand indicates the traditional pattern of love-making in course of dancing and singing.